Since antibodies used in current protocols require to meet high standards for specificity, Abcam has come up with a knockout (KO) validation process as a standard for quality control for antibodies at scale. Antibodies or affinity binders are used very frequently in life science to analyze proteins and how they function within a range of biological mechanisms and in disease states. These binder molecules are highly specific and sensitive, which helps to identify any given protein for study over a range of levels of expression. Nonetheless, many studies continue to reveal that a number of these antibodies lack sufficient specificity, which is resulting in to the failure to reproduce experiments. The inevitable outcome is wasted resources and lost time, as well as the need to retract several scientific papers (Bradbury & Plückthun, 2015; Baker, 2015; Mullane et al., 2015). Madhusoodanan (2014), and Rhodes & Trimmers (2008), confirmed the high acceptability and trust levels of knockout validation among all the methods used to validate antibodies. KO validation is based upon the use of a KO sample or cell line, which is one that does not have the target protein at all because the gene responsible for encoding it has been knocked out or eliminated. The antibody to be tested is added to a KO sample. Since the antibody target is absent, a specific antibody should not be capable of detecting any target protein in the KO sample. This is compared with a simultaneous run using a normal or wild-type cell line and the same antibody, which should return a normal specific signal. Thus, KO validation allows the use of a true negative control to establish the antibody specificity of binding to the target protein which is being studied (Bordeaux, et al., 2010). Abcam antibodies are now validated using KO validation as standard. 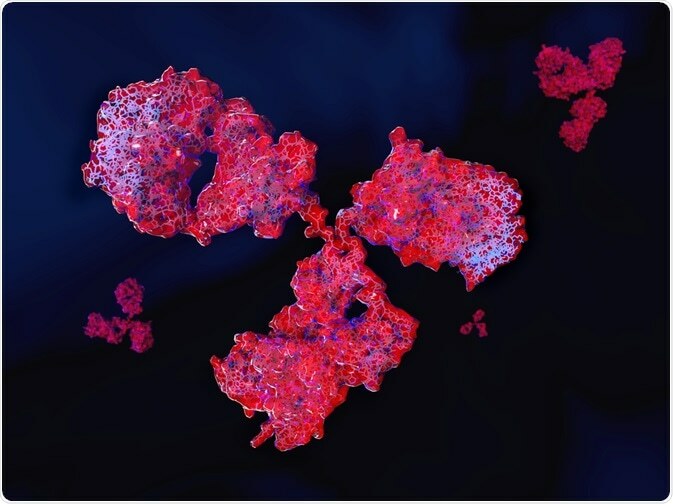 Beginning with 500 antibodies a year, the aim is to apply KO validation to every antibody product as a standard component of the stringent process of antibody validation. The KO validation seal signifies that the antibody is not only approved for the recommended application and listed species but also proved to be specific for the target protein through Abcam’s in-house validation process. For this protocol, Abcam uses the enormous KO cell line library from Horizon Discovery. Bradbury A, Plückthun A (2015). Reproducibility: Standardize antibodies used in research. Nature 518(7537):27-9. doi: 10.1038/518027a. Baker M (2015) Reproducibility crisis: Blame it on the antibodies. Nature 521(7552):274-6. doi: 10.1038/521274a. Mullane K, et al., (2015). Guidelines for manuscript submission in the peer-reviewed pharmacological literature. Biochem Pharmacol. pii: S0006-2952(15)00358-5. doi: 10.1016/j.bcp.2015.06.023. Madhusoodanan J (2014) . Validating Antibodies: An Urgent Need. The Scientist. Rhodes KJ, Trimmer JS (2008). Antibody-based validation of CNS ion channel drug targets. J Gen Physiol. 131(5):407-13. doi: 10.1085/jgp.200709926. Bordeaux, et al., (2010). Antibody validation. Biotechniques 48(3):197-209. doi: 10.2144/000113382.